Bondholder G.Wathall and Son has become the first funeral directors to qualify for membership of the Derbyshire Dementia Action Alliance. Adaptations have also been made to the branch offices to overcome any access issues and the company has agreed an action plan for on-going developments and training. G Wathall and Sons Managing Director Helen Wathall explained: “We often come into contact with people living with dementia – visiting their homes to put a funeral plan in place and when arranging the funeral for their husband or wife who have probably been their carer. 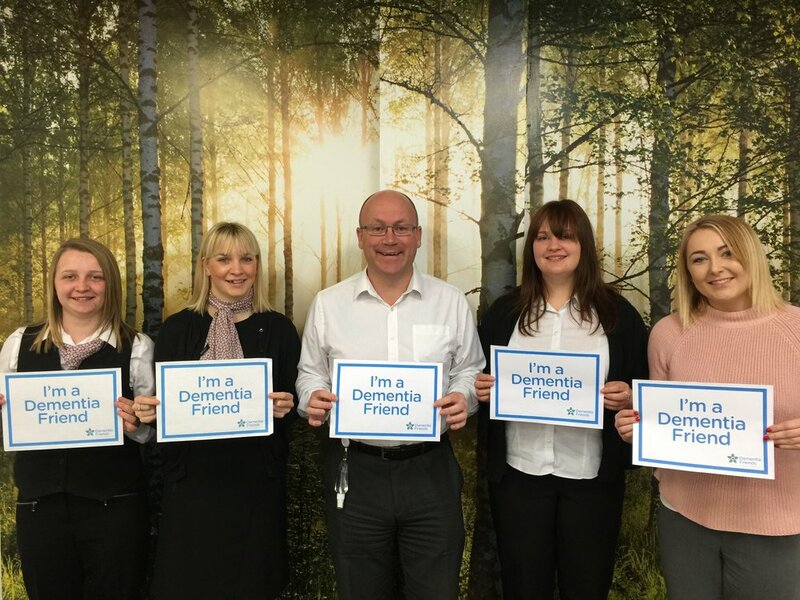 "Having undergone training and been part of the virtual dementia tour for the past few years, we were keen to formalise our commitment to improving the service we provide for our local communities by applying to join the Derbyshire Dementia Action Alliance. Derbyshire Dementia Action Alliance (DDAA) was established in 2013. It is part of a national body which captures and promotes best practice, brings together the private, public and voluntary sectors to learn more about the latest innovations in health and social care and campaigns on major issues affecting people living with dementia.